How? Smile at other travellers, let them know you don’t mind being distracted from staring out of that window or reading that book. Don’t feel self-conscious about speaking to the person sitting next to you on the plane, train or bus because you just might make a friend. If you make an idiot of yourself who cares? You will probably never see them again. Hostels are a magnet for young, single (sometimes couples & families) travellers and many of them are travelling on their own and happy to meet other people too. to book a hostel stay check out Hostel World. Many travellers travelling alone go on an organised tour and there are some great tours out there. If you are aged 18-35 years you may consider a Contiki tour. They have been around for many years and offers tours in many countries. Single travellers often go on these tours and end up meeting many friends. Check Contiki out. If you are working join after work activities. If you are staying put for a while such as on a working holiday join a sporting team. Or learn a new activity like skiing, tennis, sailing, etc. or frequent ex-pat places or organisations. So get up and go, even if it is by yourself, because you won’t be by yourself for long. And you will regret it if you don’t do it. 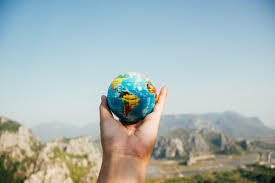 There are many reasons to take out travel insurance and when you are travelling on your own it is wise to have travel insurance as it might become your best friend. Get a quote from World Nomads for your trip. 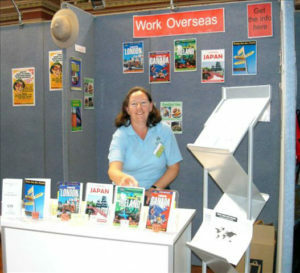 About the author: Sharyn McCullum travelled the world for 4 years using London as her base. She first went to London on her own and arrived at Heathrow Airport with no family, no friends, no work and no accommodation. She survived and met many people along the way. Some have remained friends. She is currently calling Melbourne, Australia home.